We are extremely happy with the job that you guys did on our pool, and we have no hesitations in recommending your company to anyone that may ask!!! Mark is a great friend of ours so hopefully he will put you to use as well!!! The pool has been well used and loved since we put it in…as you can imagine with the kids. They do a brilliant job at bringing a tired and ugly pool back to life. And on top of that they are a great bunch of guys who are a pleasure to have around. The dog still misses their company (and lunch leftovers). What a great bunch of blokes doing an amazing job. We couldn’t be happier with our pool. Highly recommend these guys. Thank you so much Nick for fitting us in, timing was perfect. Just had my tired old fibreglass pool resurfaced by Perth Fibreglass pools and I am over the moon. We found Nick and his crew were very professional in their work, very knowledgeable and helpful. His price was very competitive vs other restoration companies and he fitted us in before landscaper could do rest of backyard. He was tidy and kept his tool neatly in our backyard. He cleared up every day after work and site was always tidy. What I do like about Nick was his honesty and integrity. Thanks Nick the pool looks awesome and we couldn’t be happier. Now the landscapers just has to finish the rest and bull nose to the pool edge. As you can see the difference in colour our pool looks from the edges. We recommend him highly as we know in Perth it is hard to find good workman. Thanks Nick and crew. Perth fibreglass done a great job of our pool and looks great. When they say they will be there at 7am they are there on time every day. 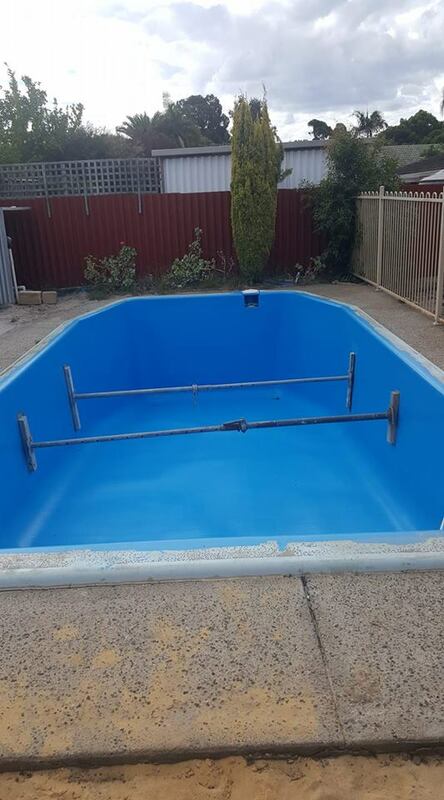 No hesitations in recommending to anyone needing their pool refurbished. “What an amazing proffesional team !! Their work ethic, mannerism were exeptional. “Nick, Just wated to say thank you to you and the boys for doing such a great job on our pool renovation. We appreciate that you turned up on time, were all very conscientious, curteous, professional and left everything neat and tidy. The pool looks amazing !